As I acquired more quality hand tools, I needed a fitting home for them. This is the answer. 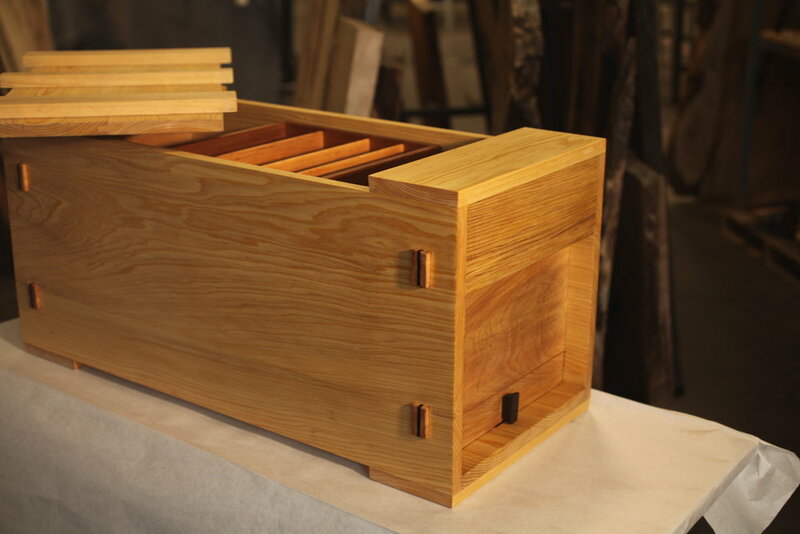 A toolbox inspired by the traditional Japanese toolbox. This one features a lower drawer for chisels. I made it of Cyprus wood, with Red Cedar drawer parts and Wenge details. Cypress construction throughout. 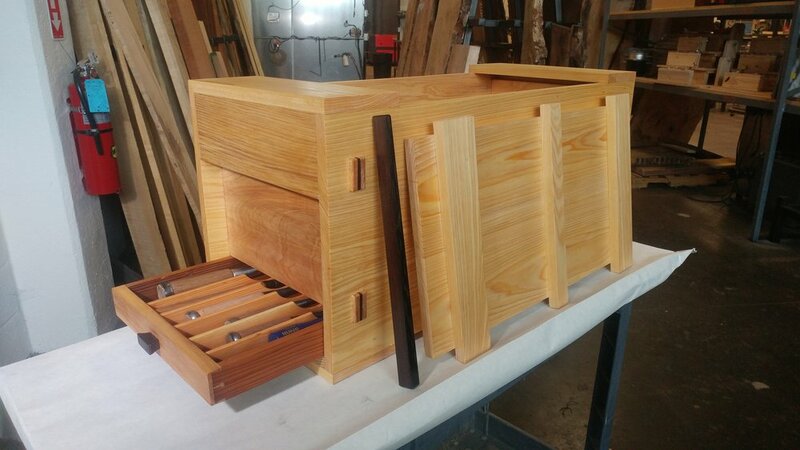 Red Cedar drawers and trays. Douglas Fir dividers. Wenge wedges and drawer lock. Tung oil finish. A traditional toolbox for the Japanese carpenter is typically a simple box, built with spare materials, and nailed together. The lid has a unique interlocking design and the ends are constructed so that hand holds are built in. 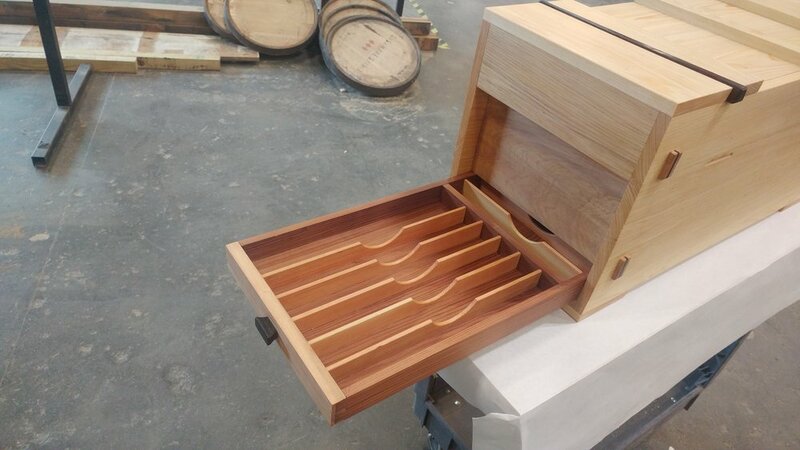 Given the respect afforded to ones tools, I took cues from the traditional design, but chose to make the box an elegant home for a variety of hand tools, incorporating a long thin drawer for chisels. Cypress and Red Cedar was used for its light weight and pleasing grain. The toolbox was designed to use as little glue as possible in the construction. A sliding dovetail both locks the front and back to the bottm, but also keeps the bottom rigid, as the vertical board resists the tendency of the bottom to cup. 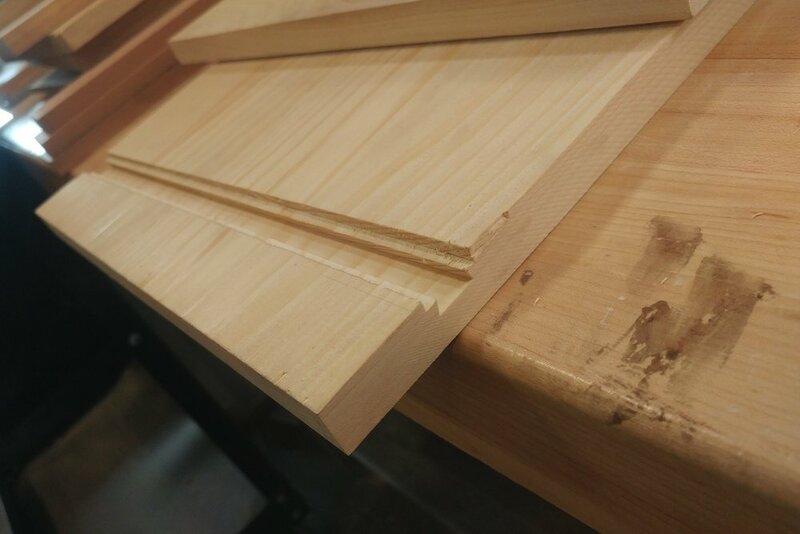 To prevent the chisel drawer from sliding out while transporting the toolbox, a very thin mortise was placed on the underside of the drawer. 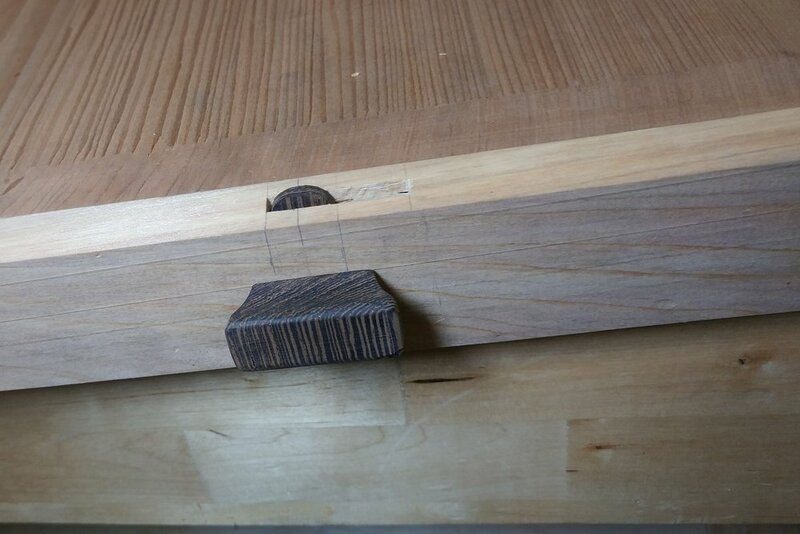 This houses a Wenge cam latch that locks the drawer when the handle is turned. A long, thin drawer hids at the bottom of the toolbox, not compleatly obvious except for the handle. Each chisel has its own slot with a convienent cut-away to quickly grab them. 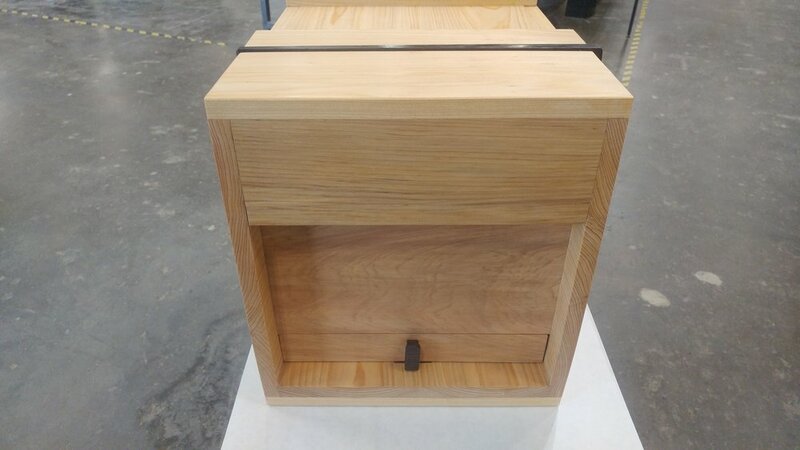 The dividers are vertical grain fir, the drawer is Red Cedar dovtailed to the Cypress face.